Last week the national championship basketball juniors and seniors was played in Toamasina. The entire week the town saw groups of youngsters and seniors dressed in team colours roaming the streets between matches. The junior boys team A.S.A. 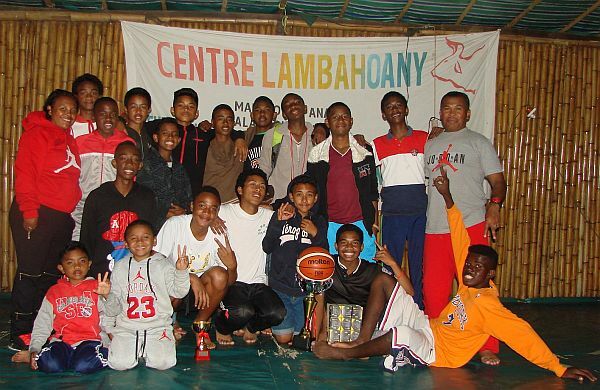 – Association Sportife d’Antananarivo – from, you guessed it, Antananarivo had chosen Centre Lambahoany as their home. Centre Lambahoany being at walking distance from the sports hall and with plenty of space to practice. And they won the cup! In an exciting finals the A.S.A. team had the upper hand. Still, the winning goal was only made in the very last second.